Planning to rent your Phoenix Orange Beach condo when not using it? Get the most from your investment, check out these rental tips to increase your revenue. Phoenix Orange Beach is one of the newest condo developments on the Alabama Gulf Coast. Phoenix Orange Beach offers 114 gulf front condos that all offer uninhibited views of the Gulf of Mexico. The condo is located directly across from the Publix shopping center and next to the Hampton Inn and Suites in central Orange Beach, AL. Phoenix Orange Beach sits on 250 feet of gulf frontage where Junonia Beach Resort was planned. Phoenix Orange Beach will follow design plans similar to the new Phoenix Gulf Shores condo in the West Beach area of downtown Gulf Shores. The new Orange Beach development will consist of three and four bedroom condos and is required to follow the current density / zoning guidelines for Orange Beach, which is approximately 42 units per acre. The height of the tower is also subject to zoning requirements and must not exceed 26 floors. Current zoning allows for 20 floors to be used as livable space and while Phoenix Orange Beach will span 21 floors, only 19 will be used as livable space. The new condo will use two floors for common area amenities and 8-stories as a parking structure on the beach-side of the condominium. The beach walkover will be fortified to allow for emergency services or heavy equipment to use for beach access. Amenities for Phoenix Orange Beach will include the basic amenities, like a gulf front pool, exercise room, covered parking, beach walkover and conference rooms. The Phoenix Orange Beach will feature a lazy river and probably the usual array of amenities that Phoenix condos have become known for. Phoenix Orange Beach is the first condo project since Phoenix West II, which officially opened in September of 2013 and became the largest gulf front condo on the AL Gulf Coast. Prior, was Phoenix West, at the time of its opening, it was the largest gulf front condo on the Alabama Gulf Coast. 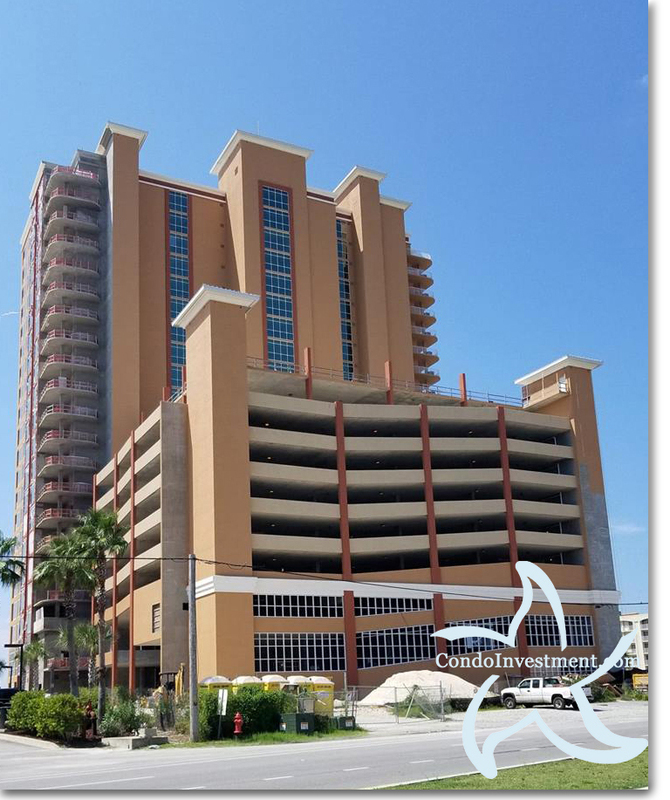 Phoenix West II is a 32-story, gulf front condo on the West end of Orange Beach. Please click here for Phoenix West II sales info, here for Phoenix West condo sales info or click here for sales info on all of the Phoenix condos in both, Orange Beach and Gulf Shores, AL; including gulf front condos and condos with deep water access. Scroll down for floor plans, video, list of amenities and other helpful Phoenix Orange Beach sales info. Please contact us to discuss financing options at (251) 504-1121.